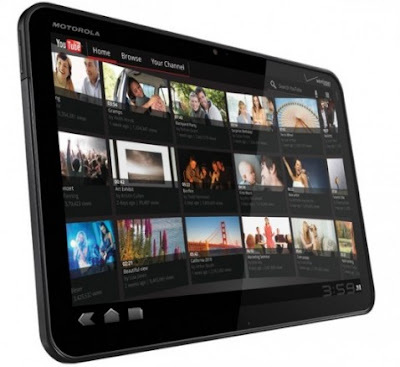 The company manufacturer Motorola has released the update to Android 3.1 Honeycomb for version 3G of your tablet Motorola Xoom. This update is the same as it was available only for models with Wi-fi connection of the tablet. There are two ways to perform the upgrade. The user may receive a notification on your mobile device of the update. In this case you must selection the option "Download" to download the file to your tablet, and then follow the installation steps for Android 3.1 Honeycomb. In case the user does not receive such notification, you will need to access the application menu and enter Setup> About the tablet> updates of the system. In the list of available updates you select Android 3.1 , click on "Download" and follow the steps to complete the installation. Android 3.1 is the penultimate version of honeycomb (has already been launched the Android version 3.2 Honeycomb) and brings new and additional resources as support for Flash Player 10.3 and to connect accessories to the tablet through Bluetooth (such as keyboard and mouse). Is there an ETA for 3.1 for other devices (like the logitech revue)?